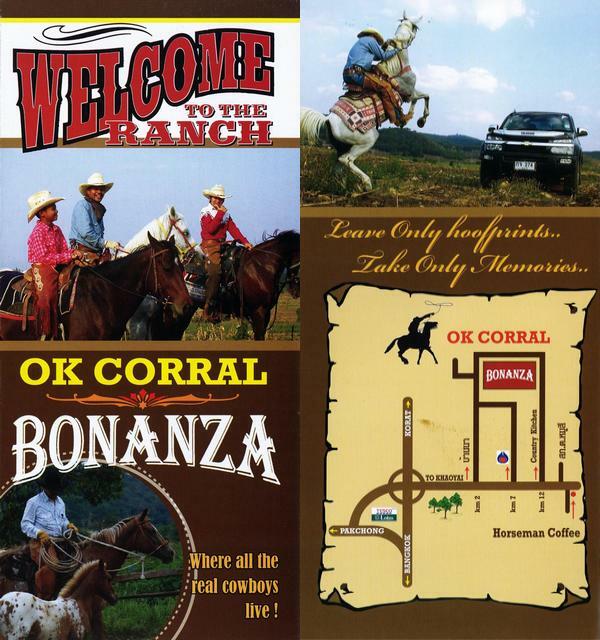 OK Corral’s ranch is the most serious horse riding operator in Khao Yai area, located on the huge compound of Bonanza Khao Yai. Training course and riding lessons for beginners including horse rope riding, equipment,and walk with horseman trainer. Riding and training in corral. Horse riding in Khao Yai country trails with a horseman leader. Gallery | This entry was posted in Activities Khao Yai, Bonanza Khao Yai, Horse riding in Khao Yai, Khao Yai Travel Guide, Pak Chong Tourism, Pak Chong Vacations, Sports in Khao Yai, Things to do and see in Khao Yai and tagged Horse riding, Khao Yai horse riding, Khao Yai ranch, Ok Corral Khao Yai. Bookmark the permalink.